e-Journal UIR is e-journal Managament and Publishing System Published by UIR Press. 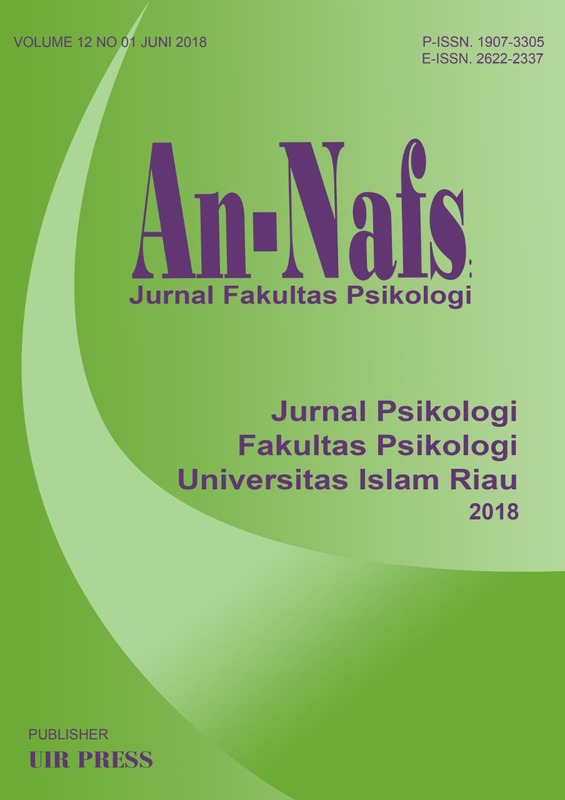 All Journals Contain peer-reviewed journal Published by The Faculty, Study Program, Laboratories, Research Institutions, Research Centres and Units in Universitas Islam Riau. 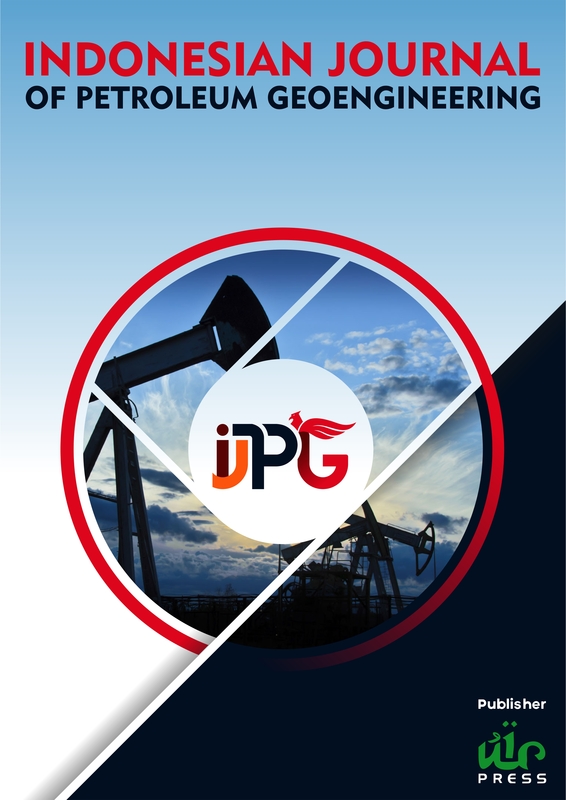 JGEET (Journal of Geoscience, Engineering, Environment, and Technology) (E-ISSN : 2541-5794, P-ISSN : 2503-216X ) is a peer-reviewed and open access journal that publishes significant and important research from area of geological science, related with engineering, environment, and technology. We accept submission from all over the world on English language. Editorial Board members are prominent and active researchers in geological sciences and engineering fields who ensure efficient, fair, and constructive peer-review process. 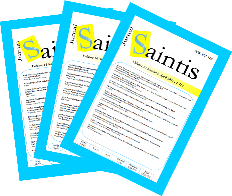 All accepted articles will be published freely and available to all readers with worldwide visibility and coverage. Our Journal already indexed in DOAJ, EBSCO, SINTA, GARUDA, Indonesia One Search, Crossref, Index Copernicus, OCLC, BASE, and University Libraries around the world. Sport Area publishes research journals and critical analysis studies in the areas of Sport Education, Sports Coaching and Sports Science. The theme of the paper covers: Learning Physical Education and Sport, Sport Pedagogy, Sports Sociology, Sport Psychology, Sports Coaching, Sports Science, Sports Management, Sports Biomechanics, Health Sports, Sports Philosophy, Sports Industry, and Sports Physiology. Journal Sport Area Indexed By : Directory of Open Access Journal (DOAJ), Google Scholar, Science and Technology Index (SINTA), GARUDA, Crossref, Index Copernicus International (ICI), Mendeley, Neliti. Journal of Earth Energy Engineering (pISSN 2301-8097, eISSN 2540-9352) is a Bi-annual, open access, multi-disciplinary journal in earth science, energy, and engineering research issued by Department of Petroleum Engineering, Universitas Islam Riau. The journal is peer-reviewed by experts in the scientific and engineering areas and also indexed in Indonesian Publication Index (IPI), Science and Technology Index (SINTA), Index Copernicus International (ICI), and BASE. Journal of Information Technology Research and Development (ITJRD) is a scientific journal that was built by the Engineering Department of Informatics, Riau Islamic University to provide a means for academics and researchers to publish papers and scientific works in the field of Information Technology. The scope of this journal covers research in the field of informatics engineering, computer science, computer networks, information systems, graphic design, image and multimedia management. ITJRD is based journal OJS (Open Journal System) and has been indexed by Science and Technology Index (SINTA), BASE (Bielefeld Academic Searach Engine), Google Scholar, Index Copernicus International (ICI), Indonesian Publication Index (IPI), Cosmos Impact Factor and a CrossRef Member. An indexing by other organizations is being done in the nearest future. Jurnal Saintis diterbitkan untuk pertama kalinya pada tahun 2003 dengan membawa misi sebagai media komunikasi penelitian teknik sipil terkemuka di Indonesia serta menjadi media penyebarluasan informasi dan perkembangan terbaru bagi para peneliti dan praktisi keteknikan di Indonesia. 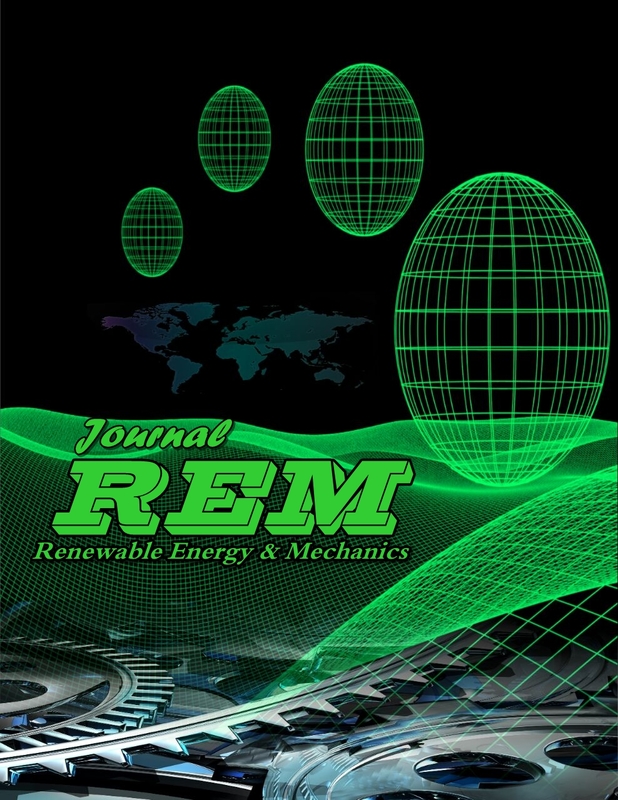 Journal of Renewable Energy and Mechanics (REM) (E-ISSN 2614-8315) is published by UIR Press. It is a medium provided by the Department of Mechanical and Material Engineering, Faculty of Engineering, Universitas Islam Riau to published scholarly articles by the research community in the world. It is a biannual peer review journal which would provide a medium to researcher for published their high quality work in the field of Renewable Energy, Mechanical, Materials Engineering and Technology. Articles are published in English or Indonesia. 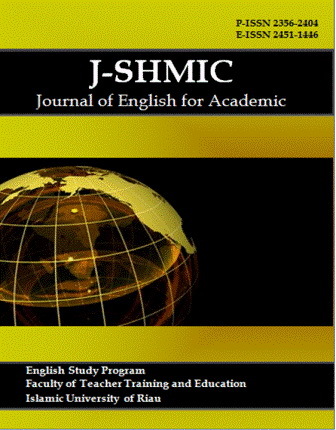 Journal of English for Academic (J-SHMIC) is English Study Program Journal of Teacher Training and Education Faculty at Universitas Islam Riau, Pekanbaru. This biannual journal publishes manuscripts in printed and onlines versions in February and August within the field of English language teaching and learning, Applied Linguistics, and English literature. J-SHMIC is accreditated as one of the fifth level of scientific journals based on Decree of Ministry of Research, Technology and Higher Education, Indonesia, number 21/E/KPT/2018. 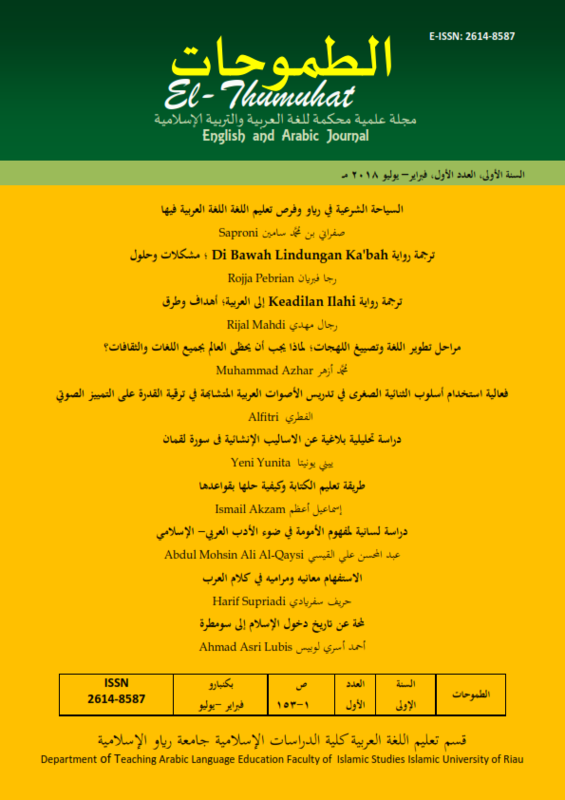 GERAKAN AKTIF MENULIS, Journal titled education, language, and literature, with (P-ISSN 2338-0446, E-ISSN 2580-376X). 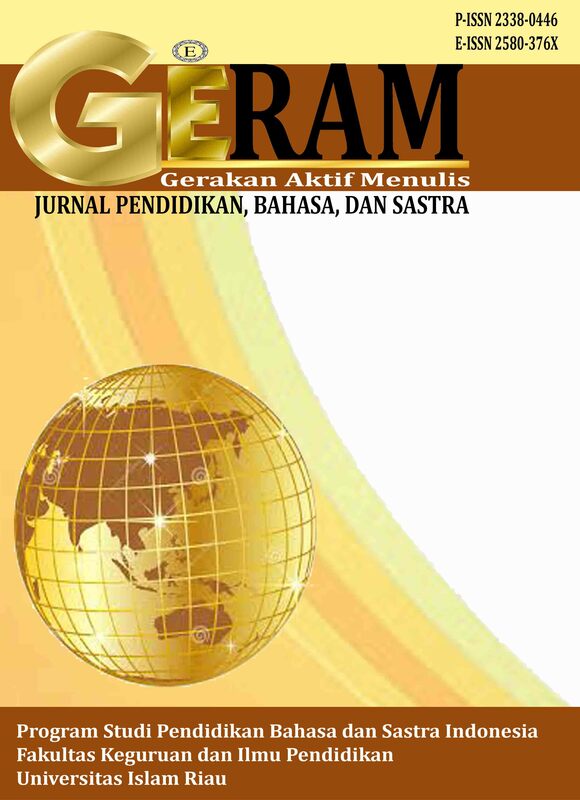 GERAM is a journal managed by the Study Program of Indonesian Language and Literature Faculty of Teacher Training and Education Faculty of Islamic University of Riau. GERAM as a vehicle for the publication of scientific articles either in the form of research, theoretical development, experiments, and literature review. Published twice a year in June and December. Editorial Board: Members of the journal are leading researchers, lecturers, teachers, human beings and observers of education, language and literature who are active in the fields of education, language and literature. Efficient, fair, and constructive peer-review processes make articles published in journals awake to authenticity. All articles received will be published in print and electronically provided to all readers with visibility and coverage worldwide. 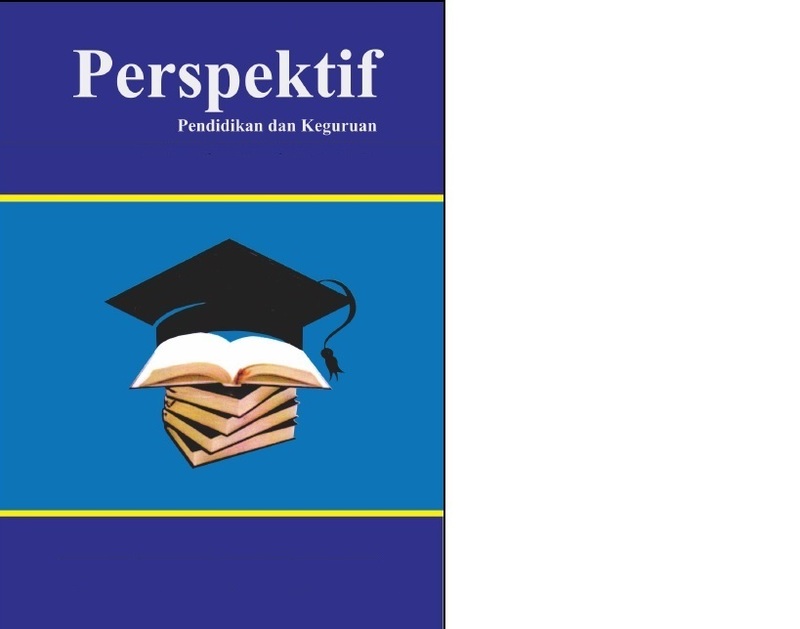 Perspektif journal is published by the Faculty of Education Islamic University of Riau (UIR), as a vehicle of scientific information, Science Education, Teaching in the form of research and literature review, opinions, technical papers, short communications, and reviews of books. Al-Hikmah: Jurnal Agama dan Ilmu Pengetahuan (JAIP) merupakan jurnal berkala ilmiah yang memuat tulisan dalam bentuk hasil penelitian dan non-penelitian tentang isu-isu ilmiah agama, Keislaman dan Ilmu Pengetahuan. Jurnal ini terbit dalam 2 kali setahun, yaitu pada bulan April dan Oktober. Editor menerima naskah dalam bentuk, 1) Bahasa Indonesia, 2) Bahasa Inggris, dan 3) Bahasa Arab, yang berkaitan dengan kajian agama, ilmu pengetahuan, ekonomi, pendidikan, dan sosial sains humaniora. 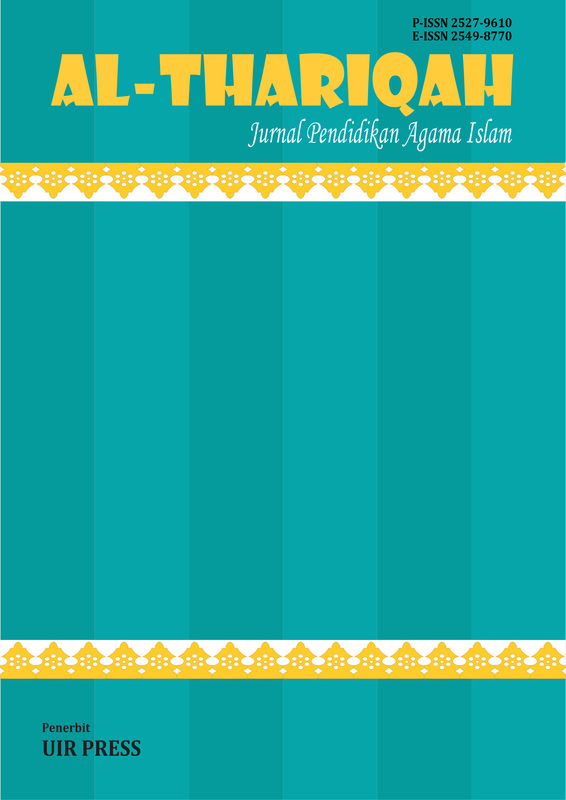 Jurnal Pendidikan Agama Islam Al-Thariqah (called the Journal Al-Thariqah) is a peer review academic journal, this was in 2016 as part of a Departement of Islamic Religious Education, Faculty of Islam, Islamic University of Riau. This journal publishes the best articles on the month of June and December after process review by professional Mitra Bestari. SINTA’S rank 4 according to the Decree of the Director General of Strengthening Research and Development, Ministry of Research, Technology, and Higher Education of the Republic of Indonesia Number 34/E/KTP/2018 about the ranking of accreditation for scientific period III of 2018. The validity period of 5 years is calculated from Monday, 10 December 2018 until Sunday, 10 December 2023. (E-ISSN 2549-8770 - P-ISSN 2527-9610). 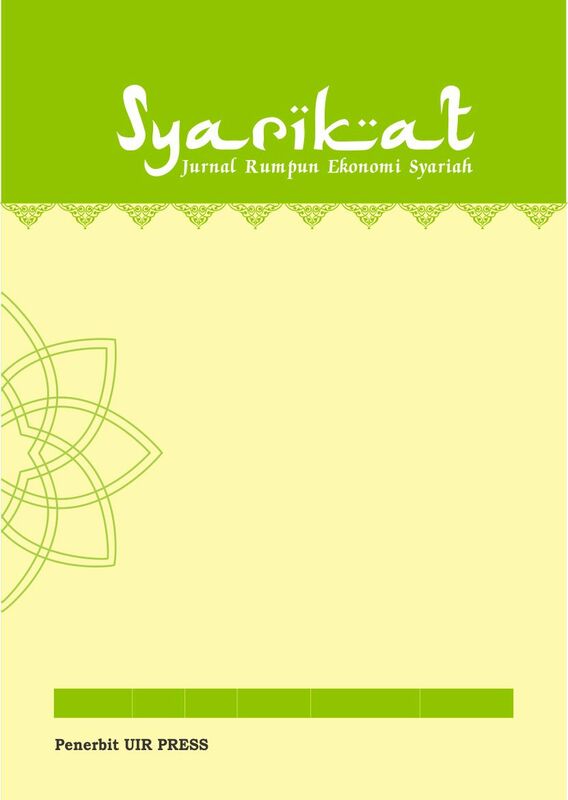 Jurnal Syarikat adalah Jurnal Ekonomi Syariah yang merupakan sarana pertukaran informasi karya ilmiah yang memuat artikel riset dan non riset tentang isu-isu ekonomi syariah yang terbit secara berkala 2 (dua) kali setahun. Semua artikel melalui poses editing dan reviewer akan dipublikasikan secara online dan cetak dan dapat di akses full text. 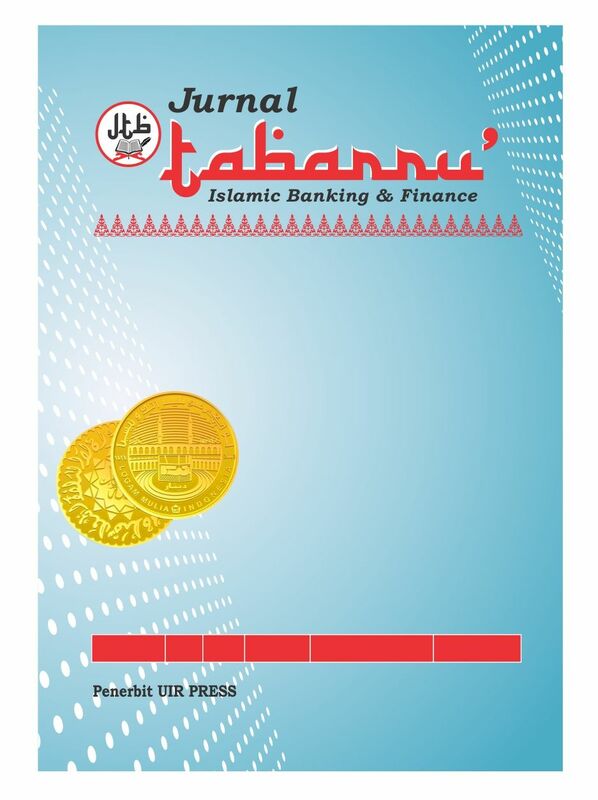 Journal Tabarru' : Islamic Banking and Finance (Online ISSN: 1526631753 & Print ISSN: 1527263122) published the original paper or review about Islamic Banking and Finance. Scope and Focus of this journal related to : Islamic Banking (BUS, BPRS & UUS), Islamic Financial Intitutions such as Islamic Insurance (Takaful), Islamic Leasing, Islamic Capital Market (Islamic Bond/SUKUK & Islamic Stock), Islamic Pawn Shop, Baitamall Wattamwil (BMT), Islamic Cooperation, and other Islamic Intitutions,. This journal also cover discussion about Managing Zakat Fund, Managing Waqaf Fund, Islamic Financial Management and Islamic Financial Accounting. Journal Tabarru': Islamic Banking and Finance publishes print and online 2 times annually are in Mei and November. MEDIUM (Jurnal Ilmiah Fakultas Ilmu Komunikasi Universitas Islam Riau diterbitkan dua kali dalam satu tahun oleh UIR Press se­bagai media informasi karya ilmiah untuk bidang kajian Ilmu Komunikasi. Redaksi menerima naskah berupa artikel ilmiah atau ringkasan hasil penelitian. 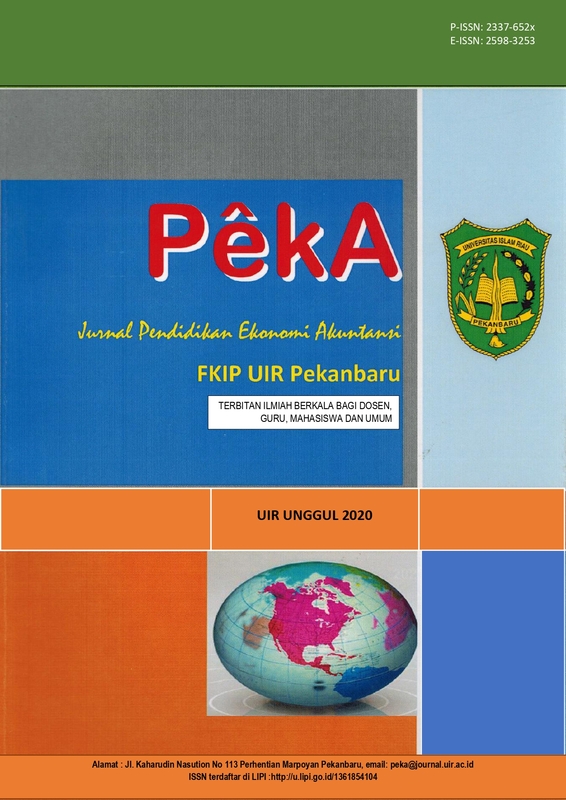 PEKA: Jurnal Pendidikan Ekonomi Akuntansi (E-ISSN: 2598-3253 dan P-ISSN: 2337-652x) menerbitkan artikel hasil penelitian dan ulasan (review) dalam bidang pendidikan khususnya pendidikan ekonomi, pendidikan akuntansi dan masalah pendidikan secara umum. Jurnal diterbitkan dua kali dalam setahun, yaitu bulan Juni dan Desember. 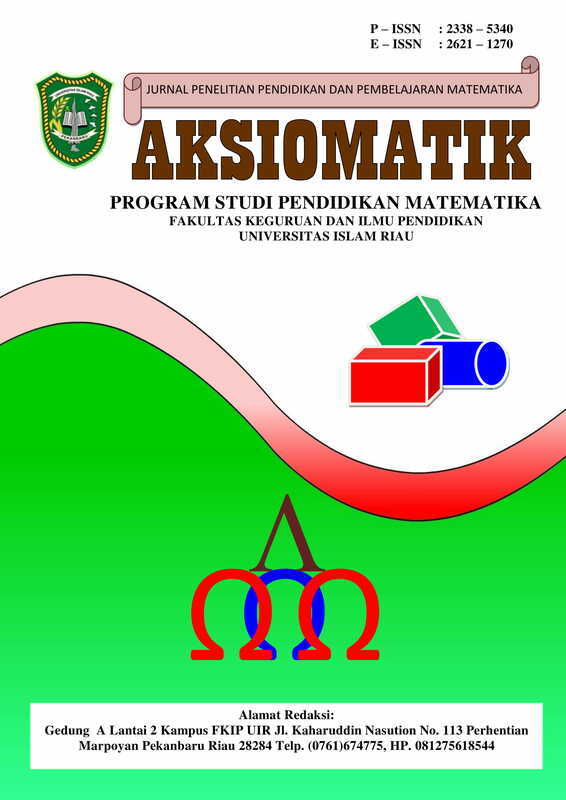 Jurnal Kajian Pemerintahan (JKP) yang di kelola oleh Program Pascasarjana Ilmu Pemerintahan merupakan salah satu Jurnal yang berada di bawah naungan Universitas Islam Riau. Memiliki semagat dalam menciptakan pemerintahan yang baik dan bersih, Jurnal Kajian Pemerintahan berupaya menyajikan tulisan-tulisan yang bersumber dari Ide Konseptual maupun dari hasil Penelitian yang sangat bermanfaat bagi penyelenggaraan pemerintahan Indonesia. Jurnal Kajian Pemerintahan menjadi wadah bagi para penulis atau peneliti untuk menyalurkan ide dan gagasan yang ilmiah. 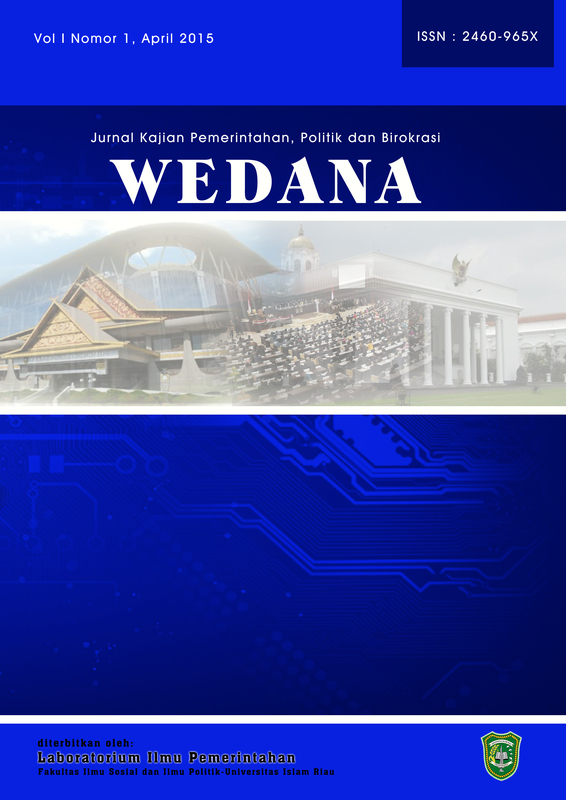 WEDANA: Jurnal Kajian Pemerintahan, Politik dan Birokrasi (E-ISSN : 2622-9625, P-ISSN : 2460-965X), is a peer-reviewed journal published twice a year in April and October by Laboratorium of Governmental Studies Program, Faculty of Social and Political Sciences – Islamic University of Riau. WEDANA: Kajian Pemerintahan, Politik dan Birokrasi to publish conceptual, Literature review and research articles in the field of Governmental Studies and focuses on the issues of Governmental Science involving the interaction between governance in government; bureaucracy; public policy and public services; governmental politics; and government; government innovation; community empowerment; leadership; regional autonomy; terrorism and conflict resolution; government ethics; leadership; and E-Government. Online ISSN 2528-4568 Print ISSN 2528-455X. Another Side of Reality is journal from departement of Criminology faculty of social and politic islamic university of Riau. 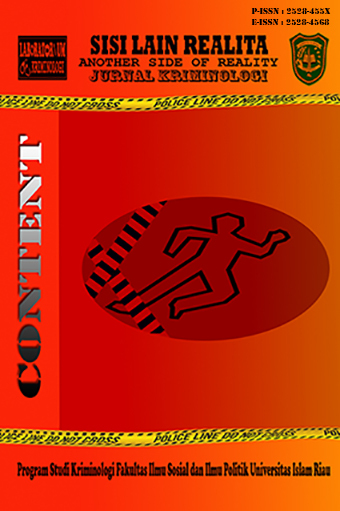 Criminology is devoted to the study of crime and deviant behavior. Interdisciplinary in scope, the journal publishes articles that advance the theoretical and research agenda of criminology. 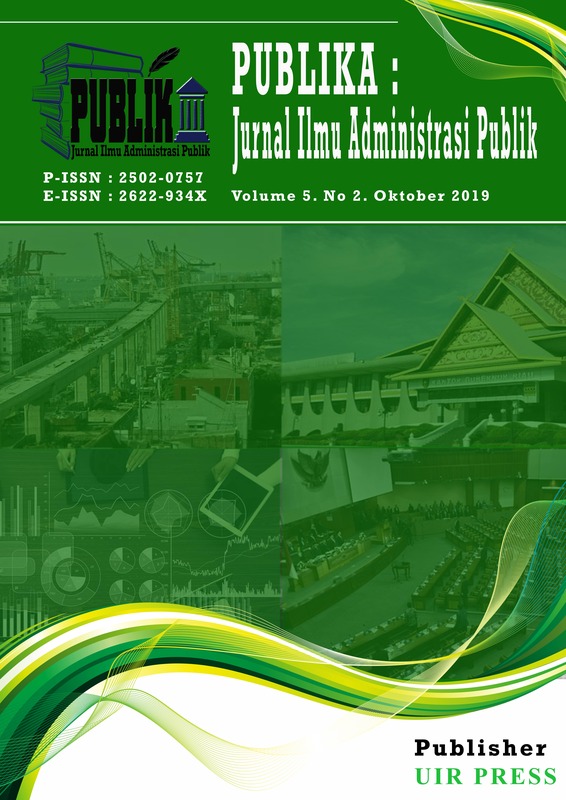 Jurnal Ilmiah Administrasi Publik is published two times a year in April and October. This journal contains scientific articles on public administration science written in two languages: Bahasa Indonesia and English. The article is published in form of empirical research, conceptual or theoretical framework. JIAP is published by Department of Public Administration Faculty of Social dan Political Sciences Islamic University of Riau with ISSN 2502-0757. 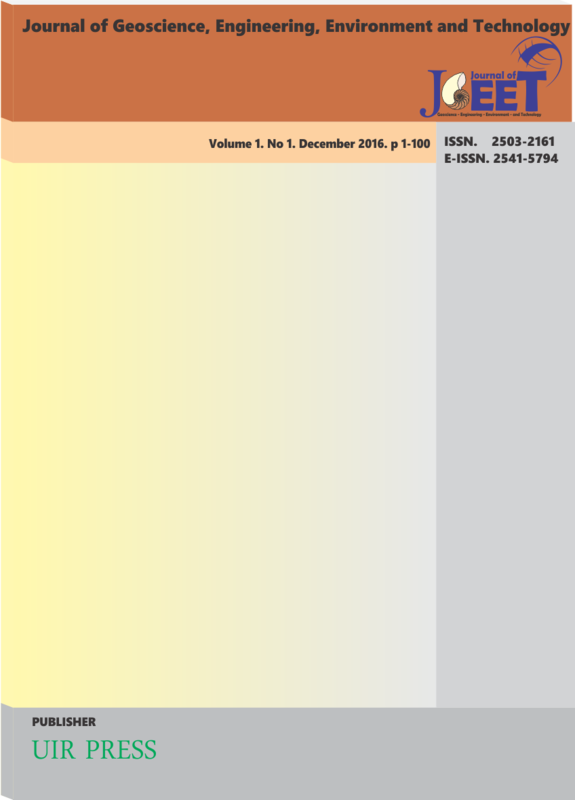 Abstracts and full text that have been published on the website can be read and downloaded in http://journal.uir.ac.id/index.php/JIAP for free. 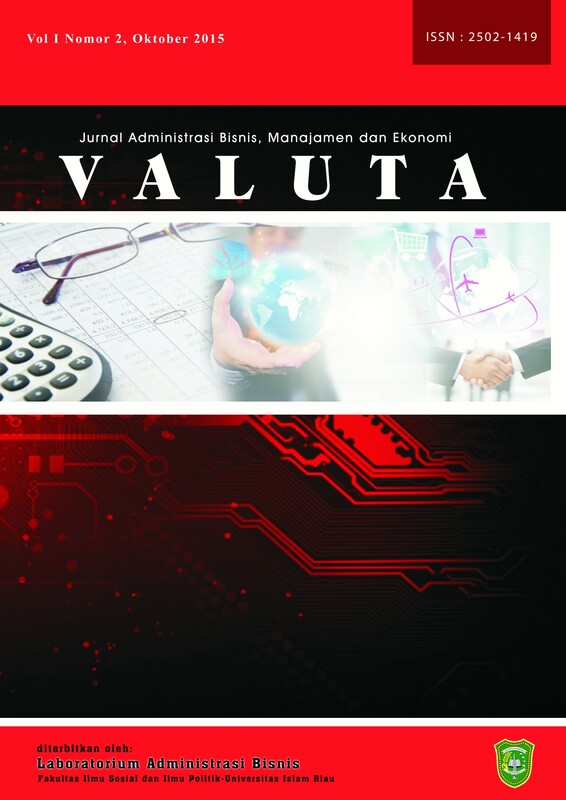 The Journal published by Laboratory Business Administration Faculty of Social and Politic at Universitas Islam Riau. This journal focused on Business, Economics, Finance and Management studies. The Journal is published twice a year. The aim of the journal is to disseminate the business, economics, finance, and management researches done by researchers both from Indonesian and overseas. 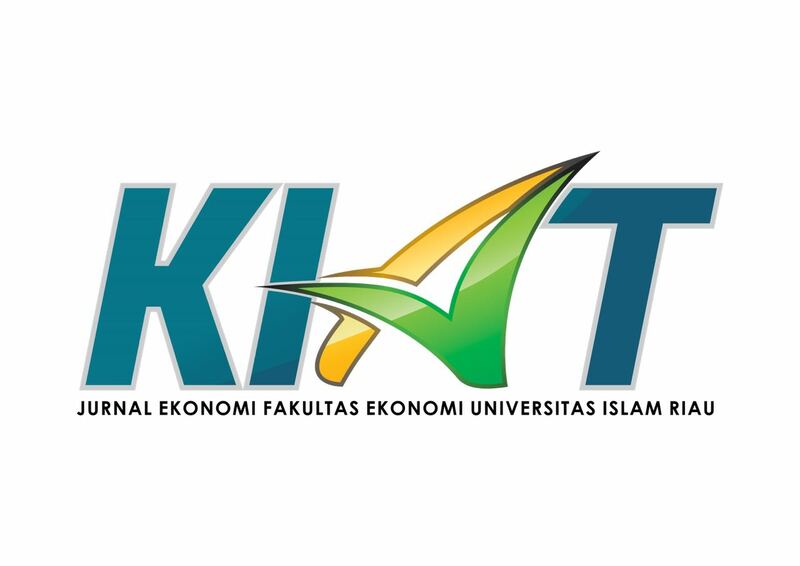 Jurnal An-Nafs adalah jurnal Fakultas Psikologi Universitas Islam Riau yang diterbitkan 2 kali dalam setahun yaitu pada bulan Juni dan Desember. Jurnal An-Nafs hanya berisikan artikel hasil penelitian baik dengan metode kualitatif, kuantitatif maupun kombinasi. Adapun scope jurnal An-Nafs adalah hasil penelitian dalam bidang psikologi islam yang terkait dengan bidang-bidang keilmuan lainnya seperti psikologi klinis, psikologi pendidikan, psikologi industri dan organisasi, psikologi sosial, psikologi perkembangan, psikologi kesehatan, psikologi positif, psikologi politik, psikologi forensik, sosiologi, ekonomi, hukum, teologi dan sebagainya. Jurnal An-Nafs telah memiliki ISSN baik dalam bentuk print maupun elektronik. Adapun nomor ISSN jurnal An-Nafs yaitu P-ISSN : 1907-3305 dan E-ISSN : 2622-2337. Lex Alumni Publishes scientific articles from various disciplines of law. The articles published in Lex Alumni include the results of legal scientific research. 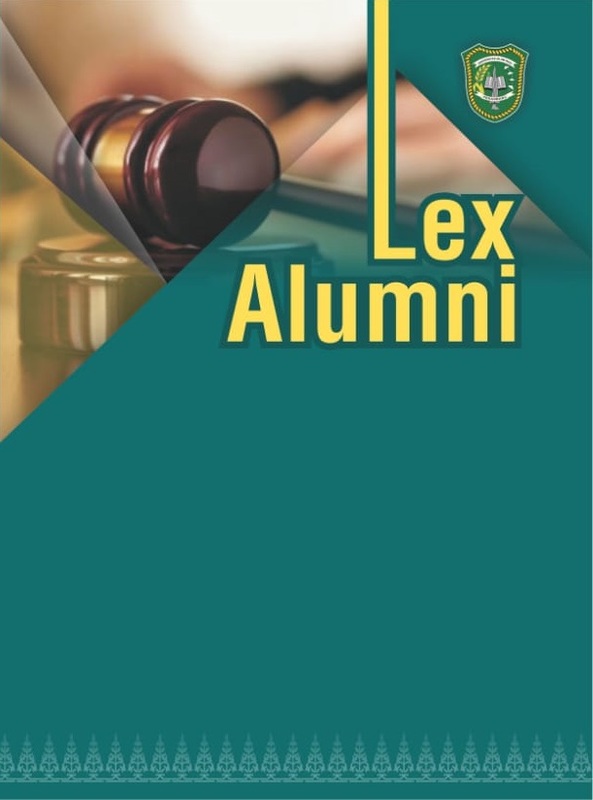 Lex Alumni initiated by Faculty of Law of Universitas Islam Riau. Lex Alumni accept manuscripts or articles in the field of Law from various academics and researchers, both nationally and internationally. 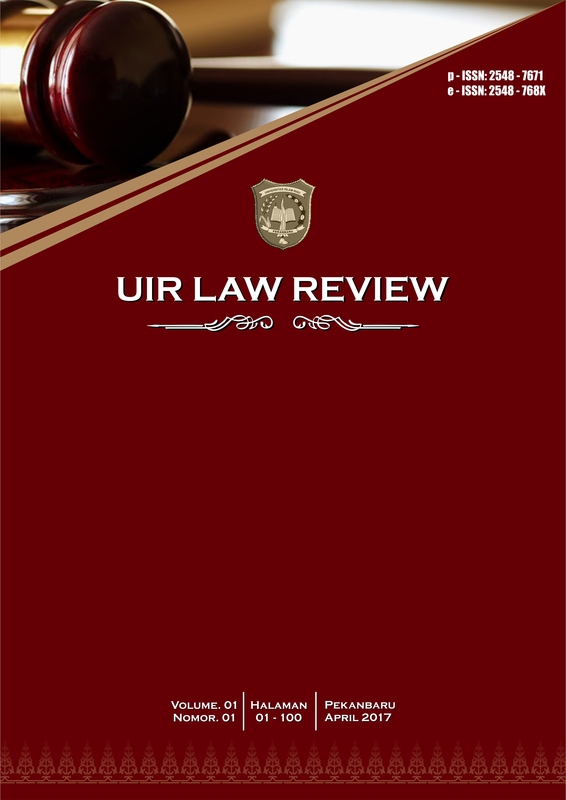 The articles contained in Lex Alumni are articles that have been reviewed by Peer-Reviewers. The decision on the acceptance of a scientific article in Lex Alumni shall be the right of the Board of Editors based on the recommendation of Peer-Reviewers. 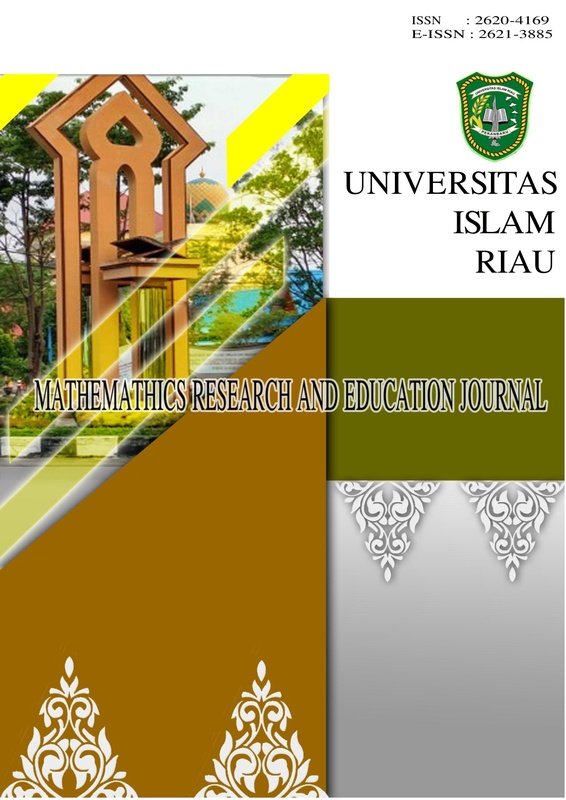 Mathematics Research and Education Journal is a journal that presents high-quality peer-reviewed papers of mathematics education in all levels of education. We are interested especially in basic research, research that aims to clarify, in detail and depth, how mathematical ideas develop in learners. GENERASI EMAS: Jurnal Pendidikan Islam Anak Usia Dini adalah sarana pertukaran informasi karya ilmiah yang memuat artikel hasil Kajian teori dan praktik di bidang Pendidikan Islam Anak Usia Dini. Redaksi menerima naskah berupa artikel ilmiah atau ringkasan hasil penelitian yang akan diterbitkan dua kali dalam setahun oleh UIR Press. Semua artikel yang lolos proses editing dan review akan dipublikasikan secara online dan cetak dan dapat diakses full text. 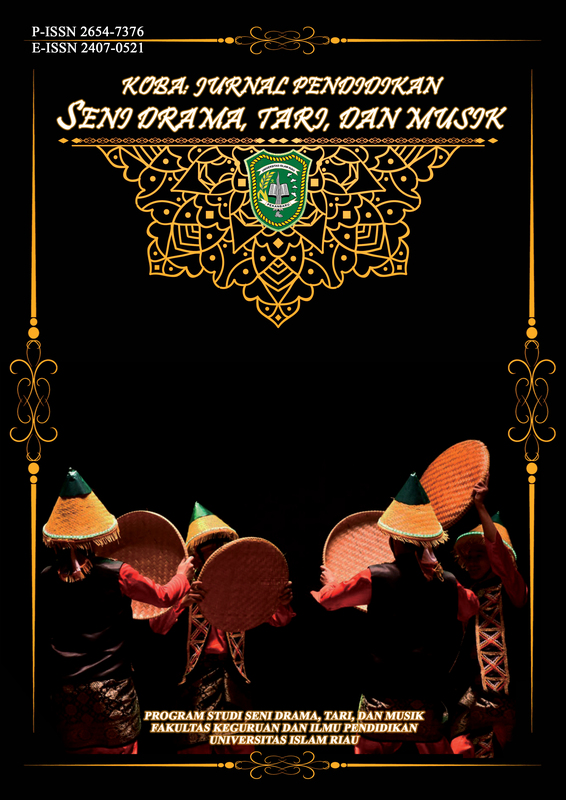 KOBA adalah jurnal ilmiah berkala yang ditujukan untuk mempublikasikan karya ilmiah hasil penelitian, pengembangan dan studi pustaka di bidang pendidikan seni drama, tari dan musik serta meneliti kebudayaan dan kearifan lokal. KOBA mulai terbit dari Oktober 2015. KOBA terbit dua kali setahun yaitu pada bulan April dan Oktober. Jurnal Pengabdian Masyarakat Pendidikan merupakan jurnal ilmiah multidisiplin ilmu di bidang pendidikan (Pendidikan MIPA, Pendidikan Bahasa, Pendidikan Olahraga, Pendidikan Dasar dan Pendidikan Seni) yang berisi hasil kegiatan pengabdian masyarakat yang bertujuan untuk menyebarluaskan pemikiran konseptual atau gagasan yang telah dicapai di bidang layanan masyarakat dalam menangani dan mengelola berbagai potensi, hambatan, tantangan, dan masalah yang ada di masyarakat. 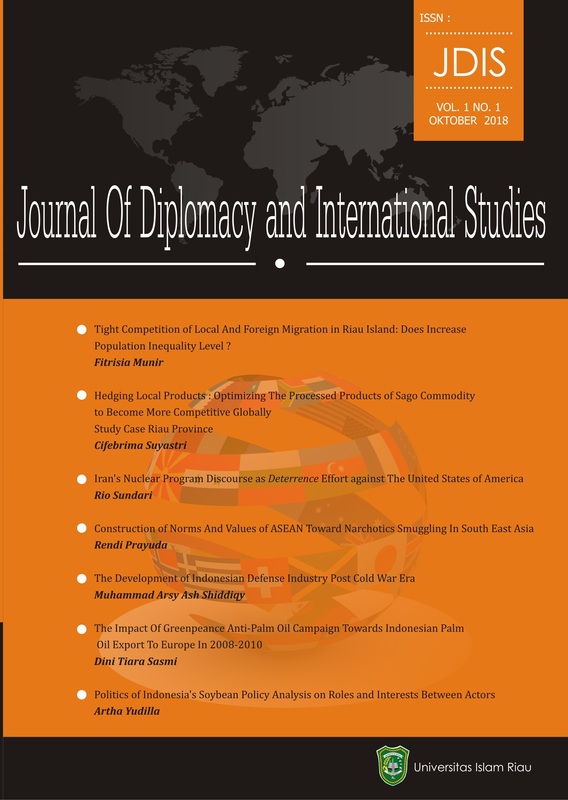 Journal of Diplomacy and International Studies (JDIS) includes scientific articles written by scholars of International Relations Department of Universitas Islam Riau. This Journal was published by the Laboratory of International Relations Department of Universitas Islam Riau, and has wide-ranging topics related International Relations in general, such as Foreign Policy, Diplomacy, International Politics, International Security, International Political Economy and Islamic Contemporary Issues. This Journal accepts manuscripts and articles those had reviewed by peer reviewers.